I knew that publicly announcing my goal to arrange and publish twelve songs in twelve months would either motivate me to attack the task squarely on, or feel trapped and rebel. Having previously experienced that rebellion against oneself is counterproductive, I was hopeful the first week would be focused and full of progress. 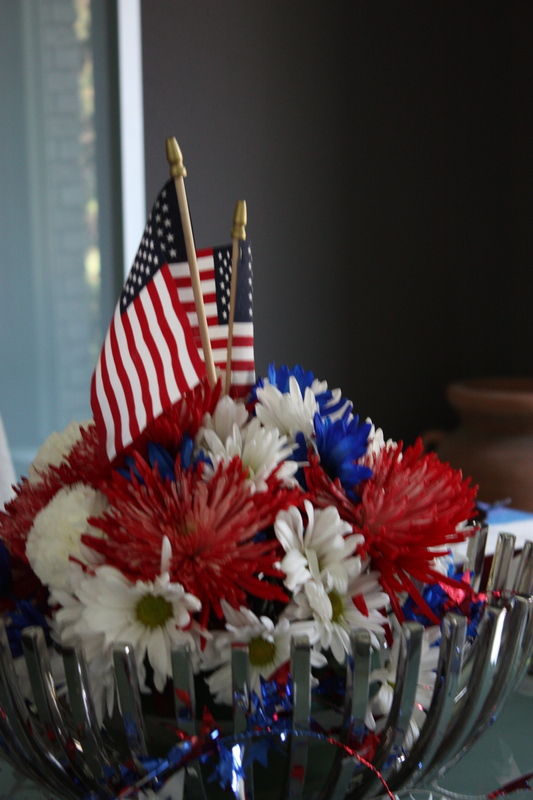 Despite a demanding work week and a restful break to observe our nation’s birthday (which was customarily celebrated with smoked pulled pork, peach cobbler and homemade ice cream), I took the first few steps on my journey. I made the goal for the first week relatively simple, to create several easily achievable steps and thus gain momentum for future and more difficult activities. So the first week I intended only to identify the first several songs I’d begin arranging and get my equipment in proper operating order. No need to set any speed records, better to get rolling in the right direction than to get ahead of myself. I’m a keyboard player, so naturally, it is my instrument of choice to write music. I first began writing music in the 1970’s on the piano my grandmother gave our family, and happily upgraded to a MIDI workspace with music sequencing software and an Apple MacIntosh LC computer (thanks to Eric Houseknecht) in the early 1990’s. Using several tracks on the sequencer meant I could actually arrange music and hear it, playing each of the separate parts and having them performed by different instrument voices. This was a major breakthrough for me as it probably was for other composers who also happened to admit to control issues. After 25 years of service (!) 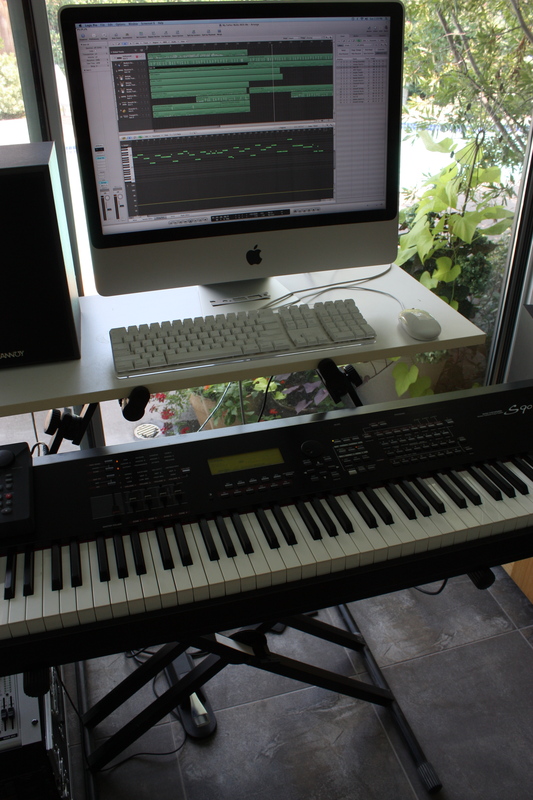 the old Mac LC and Kawaii keyboard were replaced with a Yahama 90ES keyboard and an Apple iMac with Logic Pro 8 sequencing/mixing software (“Logic” is a misnomer, however; it is often anything BUT logical). While I have used this setup for several years, for various unknown reasons, and usually at the most inopportune times, the software, keyboard and computer begin warring with each other and don’t cooperate. For some reason, when I began last week, everything seemed to be working correctly except I couldn’t hear anything through the speakers (which are regulated by a TASCAM US122 USB Audio/MIDI interface and a Behringer 16 channel mixer). The computer was communicating with the keyboard and vice versa, the software was functioning correctly, yet still no sound. After going the more difficult route of reinstalling the keyboard and TASCAM MIDI drivers and sharing a few choice words with the universe, I decided to double check the mixer, which I never, ever touch. Apparently, I do touch it after all, or a mischievous otherwordly spirit decided to test my patience by moving the sliding control for the keyboard channel to the lowest possible setting (or “off”). This, of course, was the simplest possible solution, which caused me to do a superficial, gut-level check of what other things in my life I was approaching by missing the “simple” solution. However, I was so overjoyed that the audio was once again working, I quickly abandoned the exercise in self-awareness, tabling it for reexamination at a later time. Reinvigorated, I was ready to move on. For some time I’ve known which songs I’d like to record. I call them my “greatest (unpublished and never before heard) hits.” But I knew the first one would set the tone for my journey of 12/12. So I decided my first song would be a song I wrote in 2004, in memory of my father, and have it arranged and published for what would have been his 83rd birthday on August 1, the end of my first full month on the twelve month journey. Not only do I really like the ballad, it’s one of the songs that happened to come to me with music and lyrics at the same time. 95% of the time I write music first, then the lyrics. Rarely, both arrive (from wherever they originate, a subject for a separate post) at the same time. This song was truly inspired as I reflected on my father’s life, my relationship with him, and my grief from his loss. So it’s the first one, aptly selected for the first milestone in my journey, and I can’t wait to share it with you. A quick note: The songs I write are a diverse group of tunes ranging from ballads, country, Broadway-inspired, dance, pop, instrumental ambience, soundtrack and piano/new age. I think perhaps this is one of the reasons I’ve never put together a group of songs in an “album” because they didn’t necessarily have a common theme, share a common genre or reflect a common musical style as many albums do. Thus the 12/12 concept, a way to share my favorite songs regardless of their genre and style, with the only common thread being me as the composer. Let’s just call it a collection of selected works! Steps 1 and 2 were easily achieved (as intended) so I ventured forth beyond my own expectations with a couple of exciting developments. 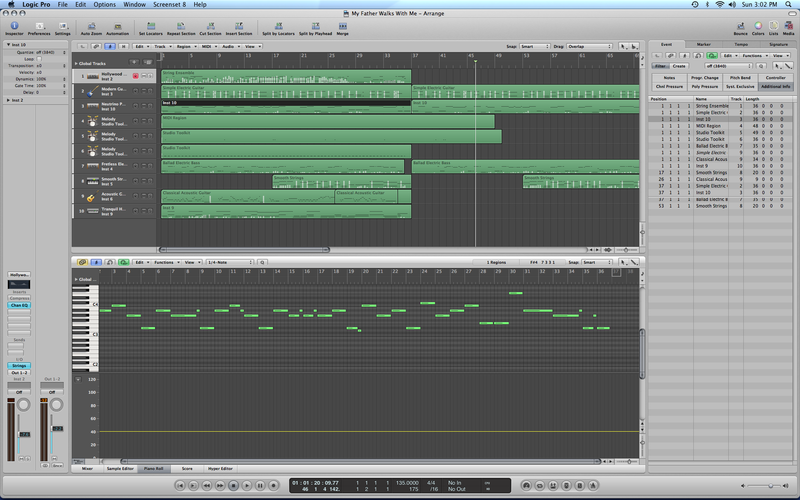 The first was bonus progress of the week is that I began arranging the first song, making significant progress. I established the basic percussion tracks, bass track, rhythm tracks and ambient pad tracks. Half the time was spent in selecting sounds and instruments, and modifying them with the various tools a synthesizer allows. While the essence of a song is its melody and lyrics, the arrangement gives it a distinct personality. We’ve all heard different arrangements of songs that radically alter our perception of them. The fun for me in arranging is discovering how the song insists it wants to be arranged, how I hear it in my mind and how I can translate that through instrumentation to represent my vision. For me the process is best executed by trying different instruments, accompaniments and counter melodies. It can be time-consuming, but it is also exciting when the right sounds come together and it starts to feel like a groove is developing. For the first song, since I’ve laid down the basic tracks, I’m working on countermelodies with guitars and strings right now. 13 years ago (!) I wrote a song for the Turtle Creek Chorale Miss Big Thickette Pageant, a fundraising event for the TCC AIDS Fund. The talented Robert Emery collaborated on lyrics. My close friend Daryl Curry is recording a solo CD of standards and is including this song, titled “A Chance To Love” as well as a song from my dear friend Rod Faulkner. So I met with the genius arranger Danny Ray to discuss the arrangement for the song. He is brilliant and I know it will be a beautiful score, and Daryl will do a beautiful job of the song. I look forward to sharing it here after it is recorded. It’s not one of the planned 12/12 songs, so it’s a bonus song. I am pleased with the progress I made this week and thrilled to be feeling the momentum I was seeking when I imagined this blog. Thanks for your good wishes and words of encouragement along the way. This is so fascinating – not just your journey and self-discovery, but I feel like I’m learning so much about the composition and production process!